If you know me you know I am that crazy dog lady. 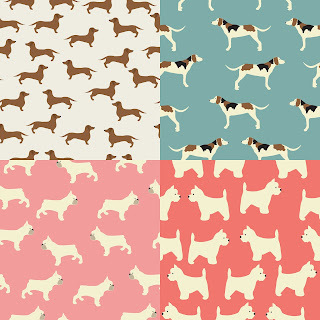 I thought I take my love for illustrating animals and bring them to life in a few pattern. 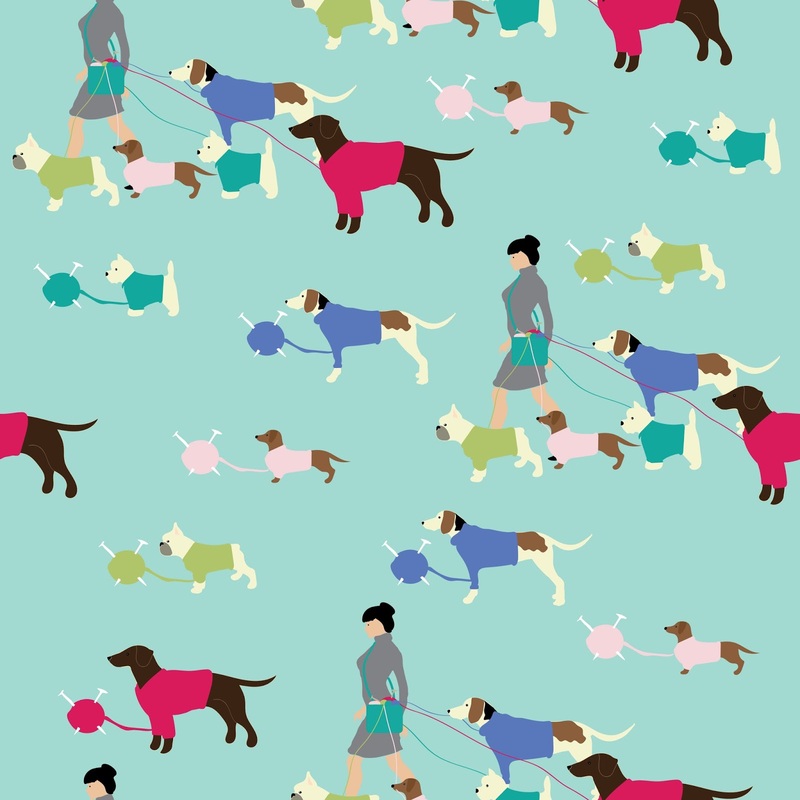 It all started with the knitting dog walker pattern. 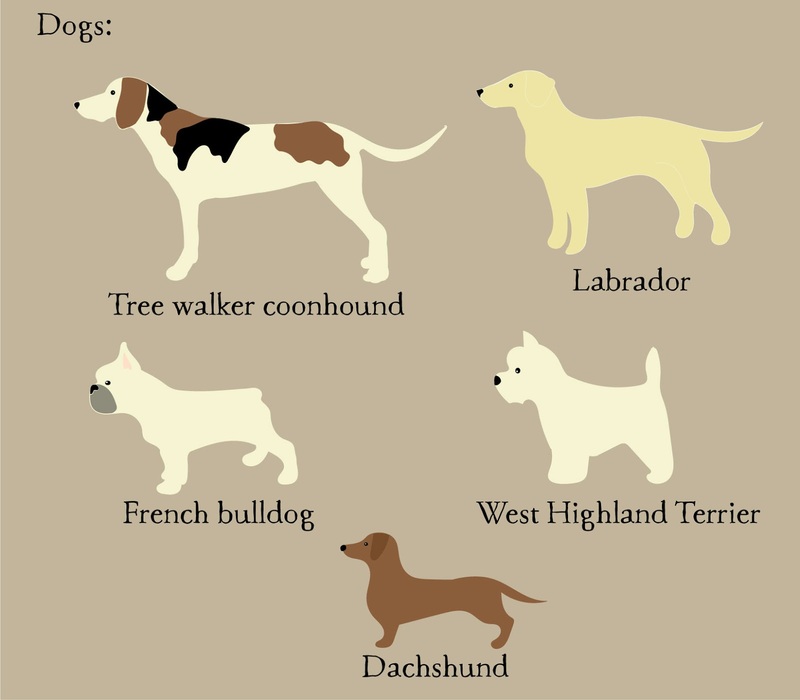 I decided to create a few breeds of my favorite dogs. 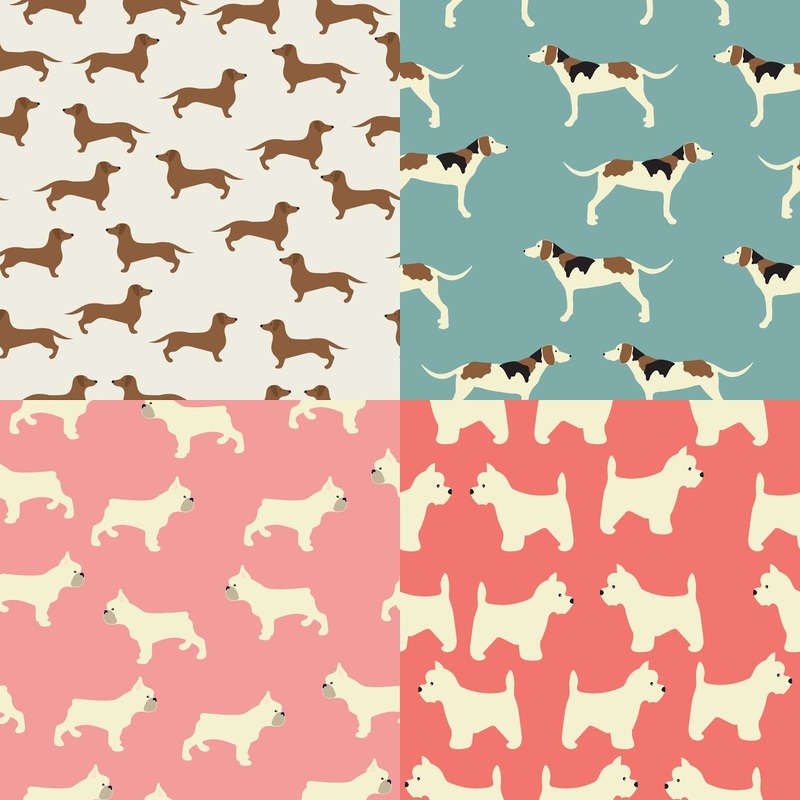 The Spoonflower theme this week was knitting and since I don't knit much I do however walk my dogs all the time and as I thought about yarn and knitted things I thought how about knitted sweater for dogs and the string could be like a leash. So the fabric knitting dog walker.